With that in mind, we've created this romantic beauty. 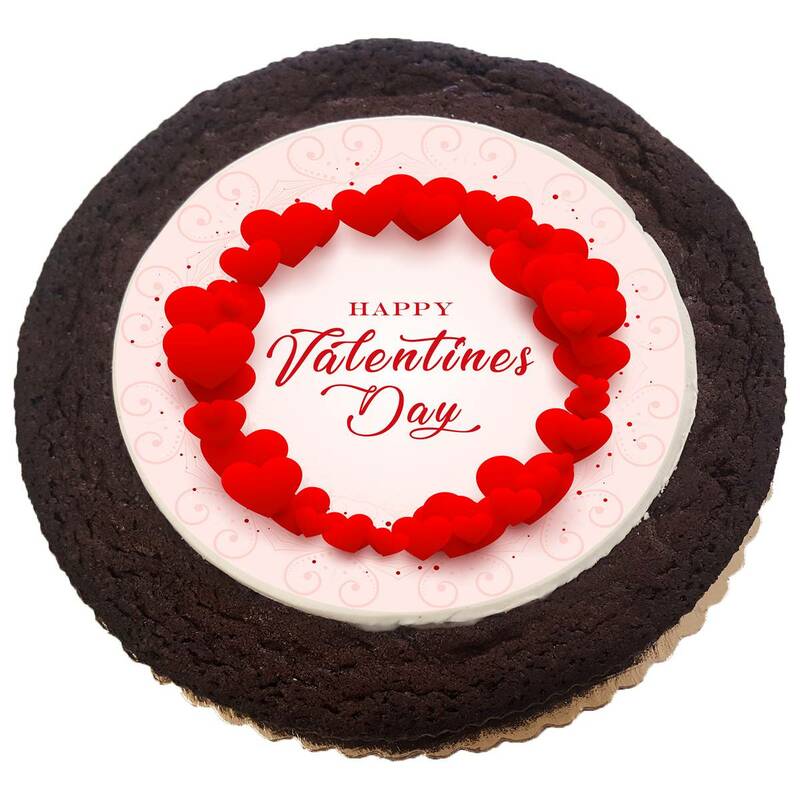 Our decadent brownie cake now comes adorned in romantic tones of pink and red with a "Happy Valentine's Day" greeting, printed over a delicious hand-rolled fondant and printed in 100% edible ink. Our giant freshly baked decadent brownie cake is loaded with a generous amount of chocolate and embellished with royal icing and matching romantic red and pink shaped confections.